This project aims to develop a novel modeling approach that allows KAPSARC to analyze the effects of different types of government interventions, such as administered prices, on energy sectors and markets. 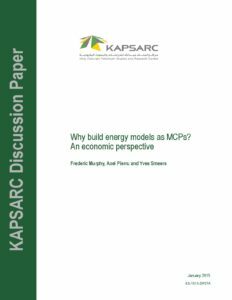 The KAPSARC Energy Model (KEM) is formulated as a mixed-complementarity problem and can therefore examine a broader class of economic policies than standard optimization models. KEM is currently a partial-equilibrium energy model. 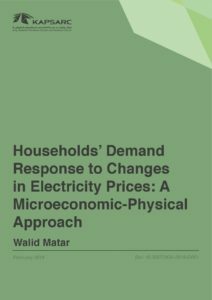 The model has a modular structure, with interconnected sectoral sub-models of energy supply and conversion and consumption in energy-intensive sectors. We have implemented a workflow that allows us to develop each sub-model separately and integrate the sub-models together, constructing energy balances consistent with economic theory for an entire system. We are engaged in multiple projects using KEM. 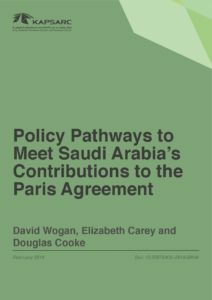 We are applying this modeling structure to different geographies (Saudi Arabia, China, the GCC, and India) in order to produce insights on various energy policy questions specific to those economies. In another project, we are also developing a novel modeling framework that will fully integrate KEM for Saudi Arabia with the rest of the Saudi economy. 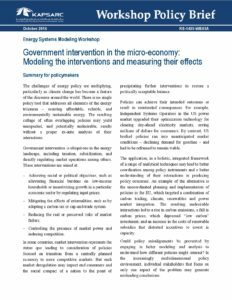 This will allow us to better understand the effects of energy policies on the rest of the economy and the effects of non-energy policies on the energy sector.